Interestingly enough, this discovery was made while yours truly was in Antarctica on assignment for The National Reporter to debunk a ridiculous tabloid story about a UFO base in the area. While investigating this silly story with several colleagues, we happened upon a group of paleontologists who were searching for evidence that dinosaurs had once roamed the Antarctic continent before it tore loose from Africa and south America and drifted southward to its present location. What they found instead astonished them, not only because of what it was but because of its age. 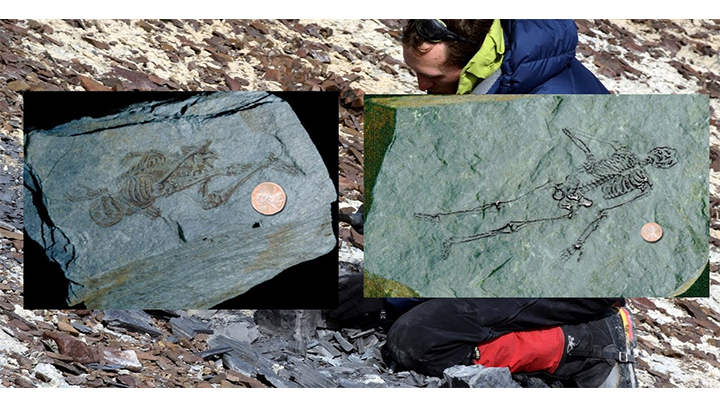 “We tested the fossils and have determined without a shadow of doubt that they are at least 600 million years old.” Doctor Marly of Cambridge University told us. “The first skeleton we found was hidden within the layers of a large piece of sedimentary rock that we had broken loose from the mountainside. We knew that it would most likely contain some fossils because of its type and age.” Dr.Marly explained. Well I guess Lilliputians were real then, who knew?